1.1 These Terms and Conditions govern the supply of goods sold by County Supplies of Unit 2, Babsham Business Centre, Bognor Regis, West Sussex, PO21 5EL (“we” and “us”) to the customer (“you”) and constitute the entire and only agreement between us in relation thereto. 1.2 All orders that are placed are subject to acceptance by us by delivery of the goods to you, at which point a legally binding contract is then constituted between us. The processing of your payment and acknowledgment of your order does not constitute legal acceptance of your order. 2.1 The price payable for the goods you order is as set out on our web site at the time you place your order. 2.2 We reserve the right to change the price of commodity goods, due to market conditions but we will confirm the prevailing price with you before accepting your order. We are not obliged to accept your order for such goods and may decline it or limit the order quantity. 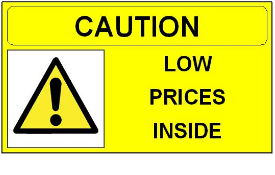 2.3 Occasionally an error may occur with our web site and goods may be incorrectly priced in which circumstances we will not be obliged to supply the goods at the incorrect price. 2.4 Subject to clause 2.5, we must receive payment for the whole of the price of the goods you order, and any applicable charges for carriage, before your order can be processed unless we have agreed otherwise in advance in writing. 2.5 If you are an account customer, payment shall be made in full at the end of the month following the date of invoice. Time shall be of the essence for payment. We may revoke credit if you fail to make payment when due. If payment is not made when due, interest is payable at the rate of 3 per cent over Natwest Bank’s then current base rate on the amount outstanding from the due date for payment until receipt by us of the full amount (including any accrued interest) whether before or after judgement, together with any reasonable legal or other recovery costs. 3.1 When delivering the goods, a valid signature will be required on delivery. We do not have a trade counter to facilitate collection of goods. 3.2 Upon delivery of the goods to you, the goods shall be at your risk. In spite of delivery having been made, title in the goods shall not pass to you until you have paid the price for the goods in full and no other sums whatsoever shall be due to us from you. Until title in the goods passes from us, you shall hold the goods on a fiduciary basis as bailee and shall store the goods at your own cost separately from all other goods in your possession and marked in such a way that they are clearly identified as our property. Most orders should be delivered within 2 working days of the order being placed. Should we not be able to do so for any reason, we will contact you to confirm an expected delivery date. If this is not acceptable to you, all money will be fully refunded. 5.1 You may cancel your order by giving us notice of cancellation within 30 days of the date of delivery to you. Such notice may be given by phone, mail, fax or email. If you are cancelling because of any problem with the goods, please notify us of the problem at the time of cancellation. 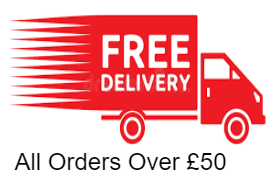 If you have notified us of a problem with the goods within 5 days of delivery, we will (subject to clause 4) either make good any shortage or non-delivery; replace or repair any goods that are damaged or defective upon delivery; or refund to you the amount paid by you for the goods in question. 6.2 This does not affect your statutory rights if you are a consumer, nor is it intended to exclude our liability to you for fraudulent misrepresentation or for death or personal injury resulting from our negligence. 6.3 We will not be liable to you for any loss of profits, administrative inconvenience, disappointment, indirect or consequential loss or damage arising out of any problem in relation to the goods and we shall have no liability to pay any money to you by way of compensation other than any refund we make under these conditions. Where you place an order for age-restricted goods such as solvents and knives, you confirm that you are over the age of 18 and that delivery will be accepted by a person over the age of 18. We reserve the right to cancel your order if we reasonably believe you are not legally entitled to order certain goods. We shall have no liability whatsoever, to you for any failure or delay in supply or delivery or for any damage or defect to goods supplied or delivered hereunder that is caused by any event or circumstance beyond our reasonable control (including, without limitation, strikes, lockouts and other industrial disputes).